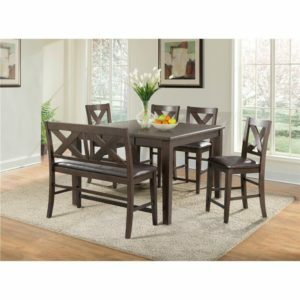 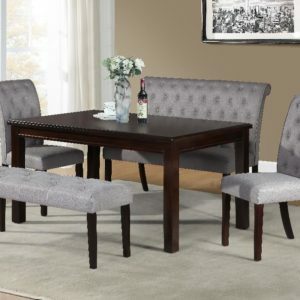 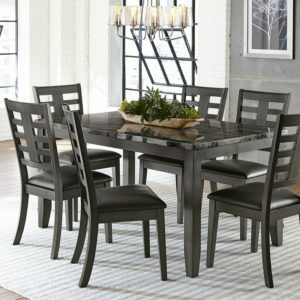 Give your kitchen or dining room space an elegant upgrade with the sophisticated five-piece Lex Pub dining set. 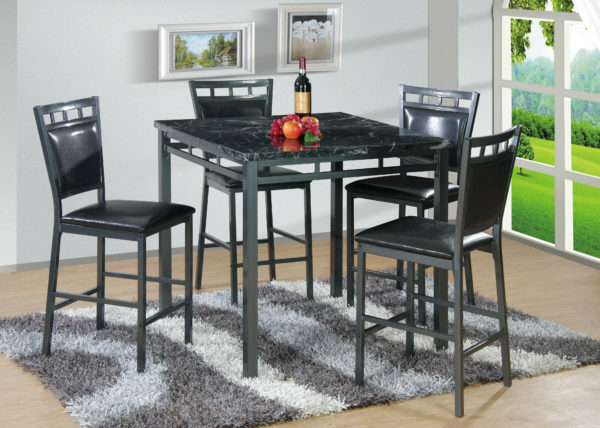 This tall black metal set features a stunning faux marble tabletop for a rich decorative effect. 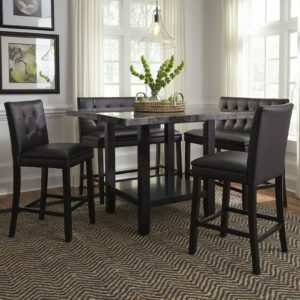 Each of the four counter-height chairs includes a cushioned black vinyl seat for additional seating comfort.